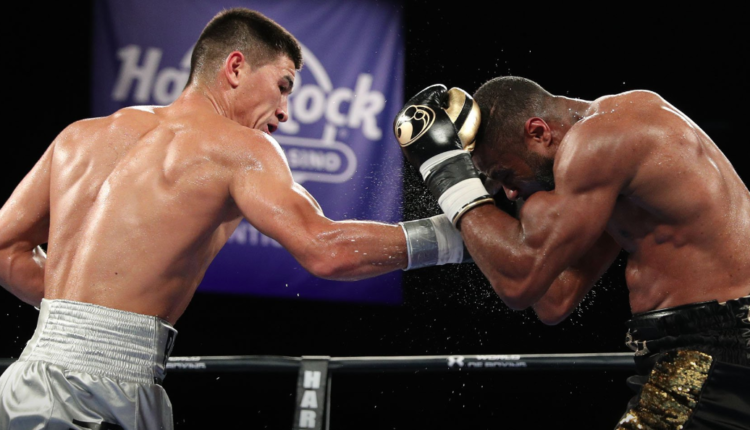 Dmitry Bivol successfully retained his WBA Light Heavyweight Title against Jean Pascal in the main event of a Nov. 24 card from the Hard Rock Hotel and Casino in Atlantic City, New Jersey. Bivol took control of the fight from the opening bell and didn’t look back. In fact, the first three rounds made it look like Bivol was in the gym with a punching bag, as Pascal seemed to barely fight back and ate what Bivol dished out. Bivol continued to dominate, focusing on the body. Pascal’s only memorable shot of the middle rounds was a left hand laned during a rush. Pascal at one point seemed to rock Bivol a little with a straight followed by a wild flurry, but he quickly tired out, despite taunting Bivol at several points throughout the fight. Bivol was the more dominating fighter outright, but he was unable to get the finish. Bivol took the judges’ scorecards 117-111, 119-109, 119-109.